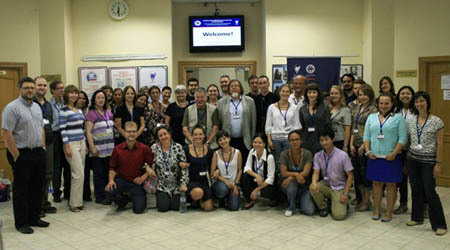 This year, Moscow State University of Psychology and Education (MSUPE) again hosted the ISCAR Summer University, this year held at Povedniki, outside Moscow, during 26th August to 1st September. The university brought together 27 participants from across the globe, to listen and learn with many learned professors and researchers in the area of cultural-historical theory and its applications to psychology, education and research. 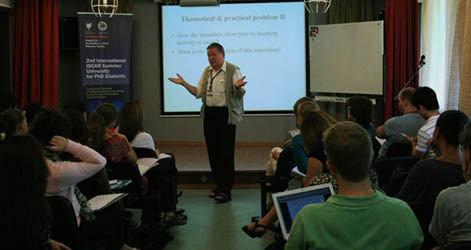 At the core of the university was the challenge to question and explore the possibilities that this theoretical position holds for understanding human development. Olga’s response captures the trepidation that comes of being in a foreign place (more foreign for some than others), with a range of people that you do not know, being challenged to think and question (especially those we normally would default to). However, the nature of the university and the dynamics of the participants that came together ensured that the university moved beyond these fears to a most successful and fruitful experience of scholarly engagement. Before the string of presentations, Vitaly Rubtsov, Director of MSUPE, in his opening presentation, set the foundation for the focus and theme of the coming days together. As Olga recollects, it is the questions that are far more important than the answers, a theme that came through in both these presentations. Over the duration of the summer university, many questions were brought to the university with participants researching in areas as diverse as alcoholism and suicide, to foreign language attainment and art education. Across the spectrum an assortment of innovative and interesting ideas were presented. These ideas presented unique ways in which the theories, finding their foundation within the work of Vygotsky, were used to explain the world around us. On the first day of university, participants were challenged by Nikolai Veresov to move beyond that which has been considered the norm of psychological research and the traditional scientific method, to consider how CHP transforms approaches and methodologies. Instead, he proposed that genetic research methodology provides ways and means to more authentically understand the inter-connectedness of the social world and development. In doing so he argued that the social be no longer seen as a factor in development, but as the source of development. Nikolai noted in particular that ‘higher mental functions appear not IN social relations but AS social relations. However, not all social relations are useful for [the development of] higher functions’. Only the relations that the child can see as highly emotional and dramatic events are crucial. He challenged the participants to stand by the idiom that before transforming social into individual, please create the social. Furthermore, the change that occurs in the process of development needs to be shown to be sustained rather than merely quantified. This presentation laid the foundation for the conversations that followed throughout the time at the university with participants critically assessing the form and measures of CHP and how we come to understand and analyse that which we can observe. 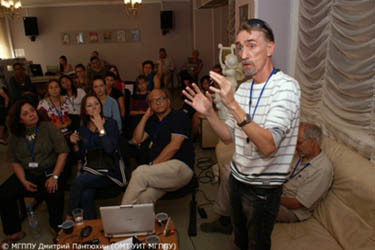 Nikolai’s presentation was followed suit by Pentti Hakkarainen, the ‘big man’ in Olga’s reflection. Along with his research partner, Milda Bredikyte, he presented on the importance of play and art in the development of the child. Together they gave examples of their journey with CHT in their observations of young children in a Finnish learning environment. Their video examples highlighted some of the critical moments of change. Likewise, Vladimir Zinchencko’s recollection of the historical developments within the Russian schools of thought provided great insight into the legacy of Vygotsky and his students. 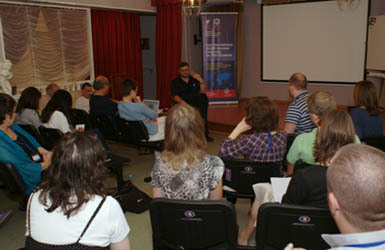 In the next days, there was more and more food for thought as well as great diversity in subject and presentation. 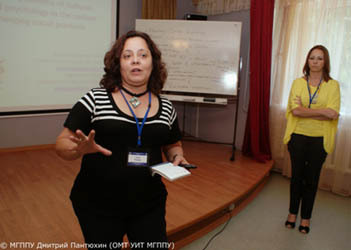 Arcady Margolis and Lyudmila Obukhova provided a cultural historical view of developmental psychology and education and a comparison with western theories on motivation, intellect and behaviour. From the South-American continent, professors Angela Cavenaghi Lessa and Sueli Salles Fidalgo challenged the discussion on more educational issues with a dedication and passion to develop shared understandings about CHT across the globe. It also brought in attention to the critical perspectives and the works of South American scholar Paolo Freire. Diversity, in the form of ability was also addressed. For example, Tatiana Basilova’s exploration of deaf-blind children in Russia presented both inspiring and transformational extensions from commonly held perceptions and beliefs about the limitations of disability. 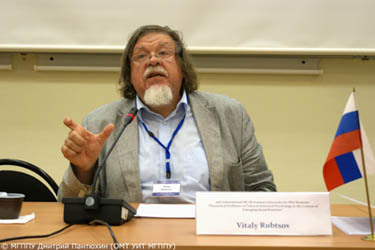 During another – very interactive section – Fyodor Vasilyuk, addressed issues of cultural-historical psychology in psychotherapy and its values for the growing field of counseling. His focus on perezhevanie i.e. experiencing inspired a lot of discussions on quite unexplored aspects of Vygotsky’s work. 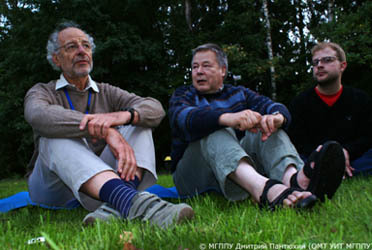 Not all lectures were inside: under the trees of the Russian countryside, across two nights, participants shared a conversation with Georg Rückriem. Georg presented a recollection of his meeting with a wunderkind, Craig Kielburger, the founder (at 12 years of age) of the Free the Children foundation. Georg’s recollection of this young person, who began and fostered a worldwide organisation which promotes the freeing of children from slavery, presented the challenge of the construct of child and adult. Is this wunderkind an exception to the commonly held perception of the inadequacy of the child, or is he a reflection of the true potential of children to make a difference in the world? Extending from this, Georg considered the role that current transformations of media and communications can have within the development of children and their ability to act beyond that which is normally expected. In spite of the fact that there are no children without adults and no adults without children, children are increasingly seeking their own identity and independence from adult suppression. They can stand for their own interests. The days of the university were long, but time passed quickly. At night participants engaged in continuing intellectual discussions. Throughout, Michalis Kontopodis, was among all these emotional variables, a constant and reassuring factor. 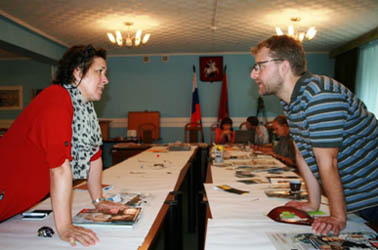 He challenged participants with notions of semiotics and fostered group involvement through collage and other activities, but also ensured that academic needs were met. Each of the lecturers played an instrumental role as a mentor and provocateur in the entire summer university, throughout all our days together. Shaped around these profound insights into CHP were presentations by many other notable scholars in this area. To recall each of these in this short space would not do any of them the honour they deserve. And feel the Unity in Diversity. A key element of the university was the students’ presentations that were across a varied range of conceptualizations and utilizations of Vygotiskian ideas, and cultural-historical psychology. The presentations were generally grouped around three main foci; CHP in education, CHP in social practices, and CHP in correctional educational (or responding to children with special learning needs). Selected research from the student presenters will appear in an upcoming special issue of the Cultural-Historical Psychology Journal. Presented below is a summary of the research topics and presenters (future names to look out for). 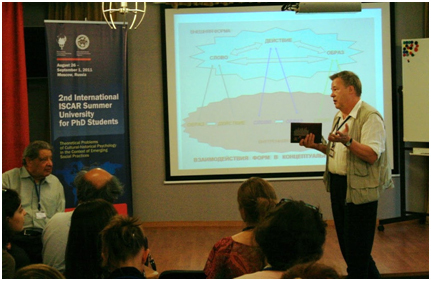 The perezhevanie of the university was not just confined to the academic engagement of the workshops, but was also founded in broader social engagement inherent when bringing together students from across the World. It is in these relationships that the real strength of the university laid and this was indicative in the ongoing communication of many participants since the completion of the university. To share any more of this would detract from that which others may experience in the future; so it is best to have what occurred on tour, stays on tour! Being in the birth land of Vygotsky was for many of us an impetus for change in our academic thought. It would be remiss to not offer a heartfelt thanks to all who contributed to the success of the Second ISCAR Summer University. From the presenters to the participants, all would not have succeeded had it not been for the hard work of the organizers. Often, these forms of thanks are offered as almost an obligation, but in this circumstance this extension of gratitude is truly genuine. Those of special note include, Maria Safronova, Michalis Kontopodis, Elena Loginova, Elena Terjohina, Maria Oraevskaja, Tatyana Novikova, but most importantly, Natalya Ulanova, who often when above and beyond to make all feel welcomed. 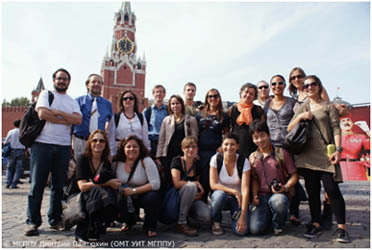 For some of the participants the journey with CHP did not stop in Russia. On the 5th of September, the organizing committee of the 3rd International ISCAR Conference had organized a PhD day in the week following the Summer University. It was in this prelude of the main ISCAR conference held from 6-10 September, that a vast number of young PhD researchers were given the opportunity to present their posters discuss their ongoing work. This PhD day was another example of the foresight of ISCAR to nurture new ways of thought. The combined presentations gave insight into the opportunities and application of CHP in understanding the complex relationships of society and culture we live in.